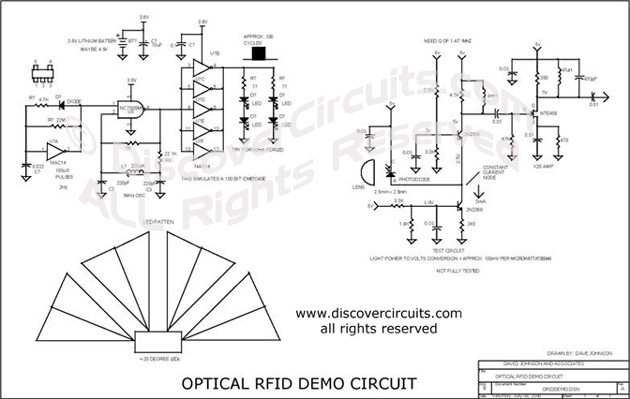 Circuit: OPTICAL RFID TEST CIRCUIT__ Circuit designed by David A. Johnson, P.E. I designed this test the concept of using light techniques to send identification data instead of RF. .